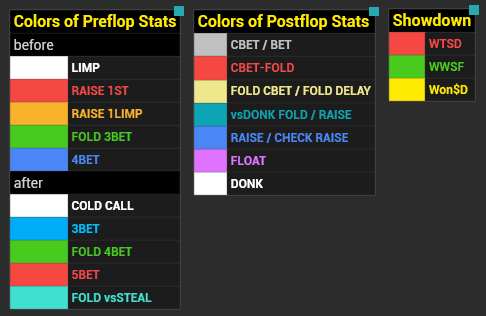 *For the convenience of adaptation, fixed colours are used in preflop and postflop stats. 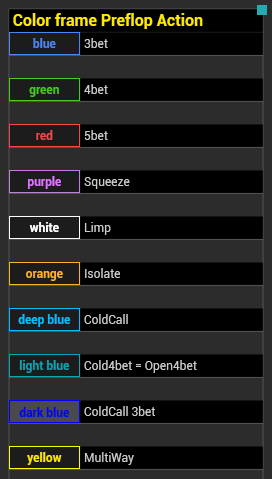 *Coloured frames make an additional notification about action at preflop in different situations. Every situation has its own specific colour.